Joe Ashlar will be heading to Europe with Eddie Roberts’ West Coast Sounds this July 2013! The tour kicks off on July 4th at the 100 Club in London, UK, followed by a second UK date in Leeds on July 5th at the Sela Bar. 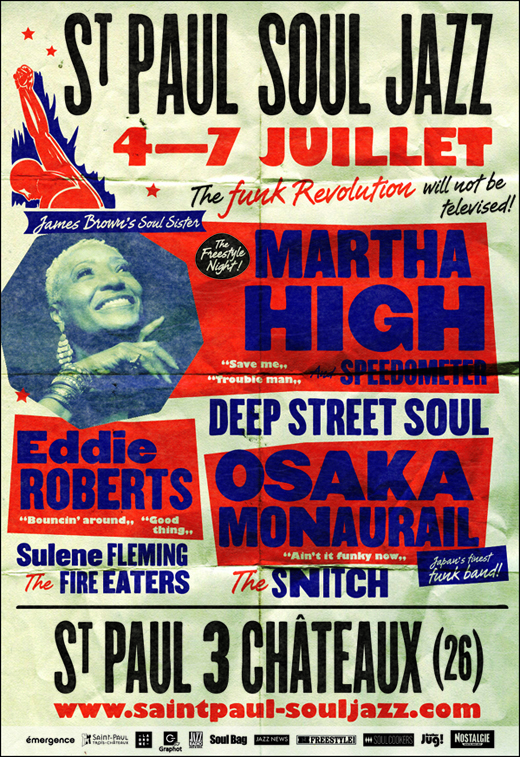 Next, the group heads to Saint Paul Trois Chateau, France to play the St. Paul Soul Jazz Festival on July 7th! After leaving France, the group will fill dates at clubs around Spain in Barcelona, Valencia, and the Canary Islands (Grand Canaria and Tenerife), ending the tour on July 13th at the Imagina Funk Festival in Sierra Mágina, Torres, Spain. If you are in Europe, be sure to check out one of these clubs or Festivals! If not, Follow Joe Ashlar on Instagram for photo updates from the tour! For more detailed info about these performances and local gigs, check the shows list at the side of this page, the Shows menu above or Click Here! Previous postEddie Roberts' West Coast Sounds- HD Video from Cervantes Ballroom in Denver, CO Next postFuji Rock Festival in Japan!